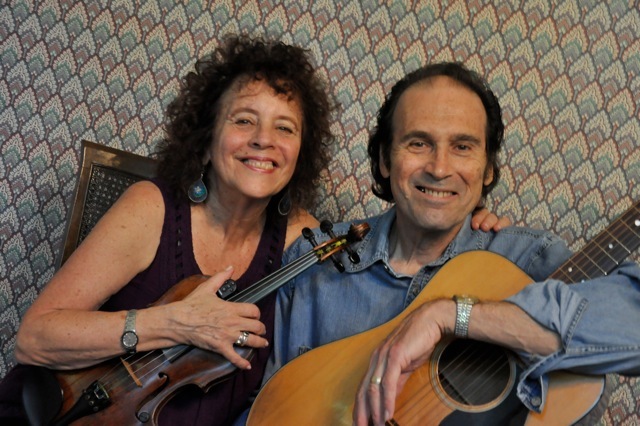 Nashville-based Shelby Bottom Duo (Michael August and Nell Levin) have launched this campaign with a goal of raising $5000 to fund our Musical History of Joe Hill and the Early Labor Movement Tour and our companion CD of Joe Hill songs, Joe Hill Roadshow. Production of our CD will cost approximately $4000. The additional $1000 will pay a portion of our travel expenses to perform dates in Nashville, Memphis, Chattanooga, Clarksville and Knoxville, with more being scheduled. We are performing for community groups, schools and unions that are eager to hear our unique combination of history and music. We applied for an educational grant to cover the cost of this project but did not receive the funding; thus our need to raise money. Songwriter Joe Hill is the precursor of Woody Guthrie, Pete Seeger and Bob Dylan. He was immortalized when Joan Baez sang “I Dreamed I Saw Joe Hill Last Night” at the Woodstock Festival in 1969. A Swedish immigrant, Hill was a member of the international labor group, the Industrial Workers of the World (IWW or Wobblies), active in the decade leading up to World War I. In 1914, Joe Hill was framed for two murders he did not commit. He was executed by a firing squad in Salt Lake City, Utah on November 19,1915. He was 36 years old. 30,000 people attended his funeral in Chicago. 600 packages of his ashes were distributed worldwide and in every state in the union, except Utah, in accordance with his wishes. In 2015, 100 years after his execution, 40 concerts were held around the country celebrating his legacy. Shelby Bottom Duo performed at the Nashville and Knoxville concerts. This CD and Tour is a continuation of this celebration. Our Musical History includes live performances of Joe Hill songs that are recorded on our CD combined with a talk about Hill’s life, early labor struggles and the influence of the IWW’s innovative organizing strategies on movements today. Our goal is to share this vital slice of labor history with a wide range people so that we can all better understand why the revolutionary creativity exemplified by Joe Hill and the Wobblies is still relevant. Please make a donation now to support the educational and entertaining Joe Hill Roadshow Tour and CD. We are offering rewards for donations of $30 or more. Please check these out. We performed our new updated Musical History of Joe Hill and The Early Labor Movement last night to an appreciative group here in Nashville. With your help, looking forward to more performances here and around the state of Tennessee and elsewhere. 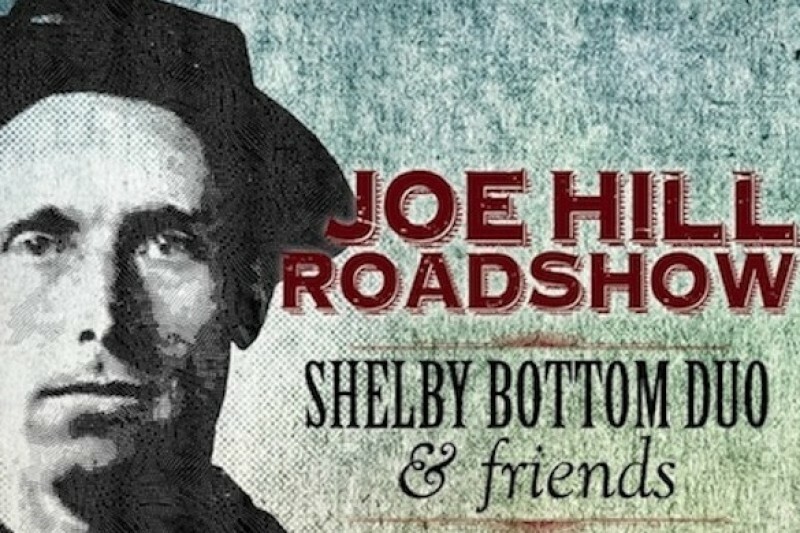 Our Joe Hill Roadshow Tour & CD Go Fund Me campaign is picking up steam. We've raised $720 so far! Our goal is $5000 so we have a ways to go but were deeply grateful to everyone who's donated. Please consider making a donation of $25 or more and we'll send you our new CD. Donate this amount and get Shelby Bottom Duo's Joe Hill Roadshow CD, a $10 value. Donate this amount and you get a copy of Shelby Bottom Duo's Joe Hill Roadshow CD plus Solidarity Forever 2017 Labor History Calendar. All $50 perks + Tom Roznowski's Grammy-nominated Americana CD, A Well Traveled Porch. Nell played and sang harmony on this jewel. Get all $100 perks + William M. Adler's definitive biography of Joe Hill, The Man Who Never Died. Donate $500 and you get all $250 level gifts + Shelby Bottom Duo will perform a concert in your home or other venue! Travel & lodging expenses not included. $250 level gifts + 2 night stay in guest room with bath in our historic East Nashville home + an intimate Duo concert in our house for you and 15 friends.